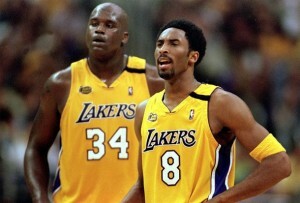 What if the Lakers Had Chosen Shaq Over Kobe? dfavale April 2, 2013 Dan Favale No Comments on What if the Lakers Had Chosen Shaq Over Kobe? Kobe Bryant would have won championships without Shaquille O’Neal and the Los Angeles Lakers. Or at least, that’s what the Black Mamba believes. As the Lakers prepare to retire Shaq’s jersey, Kobe has revealed a personal respect for his former teammate and arch nemesis. The feud is essentially behind both players. That rift which culminated in O’Neal’s departure in 2004 is history. Water under the bridge. It’s finished. Nearly 20 years into his professional career, Bryant is still one of the most self-assured athletes the NBA has ever seen. And not necessarily in an exuberant or despicable way, but rather, in an embraceable one. What if the Lakers had chosen O’Neal over Bryant? Honestly, should we have expected him to say anything else? Of course not. He’s Kobe. Winning championships and talking about winning championships is almost all he does. His hubris is part of what drives him and one of the reasons we love him. There’s no doubt in my mind that he believes he would have won more titles somewhere else. As for that being an accurate perception of what would have happened, though, I’m not so sure. It remains to be seen where Bryant would have gone had he been shipped out. We know he was nearly traded to the Detroit Pistons in 2007, but this duo was dismantled in 2004. Would the Pistons have been in play then? We can almost certainly conclude that the Miami Heat wouldn’t have been an option. Pairing Kobe and a budding Dwyane Wade would have been extremely problematic. I’d even hazard the Lakers would have attempted to land Wade in exchange for his services. There’s simply no telling where Bryant would have wound up or if he would have won any championships outside of Hollywood. Shaq managed to win one more, but Kobe has since won two with the Lakers. I find it tough to believe that Bryant would have matched or exceeded that total somewhere else. I mean, I know he’s Kobe, but the Lakers are the Lakers. They’re just as synonymous with winning as Bryant is, maybe even more so. “I saw him after the All-Star Game and said, ‘How you doing, ‘Four,'” Kobe said of O’Neal. Get it? Four? As in the number of championship rings Shaq has? As in one less than Bryant? I find myself wondering what would’ve have happened if the tables had been turned, if the big man would have stayed in Tinseltown and Bryant had been sent elsewhere. Dan Favale is a firm believer in the three-pointer as well as the notion that defense doesn’t always win championships. His musings can be found at Bleacherreport.com in addition to TheHoopDoctors.com. Follow @danfavale on Twitter for his latest posts and all things NBA.